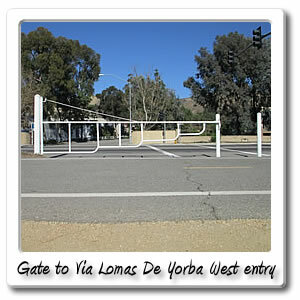 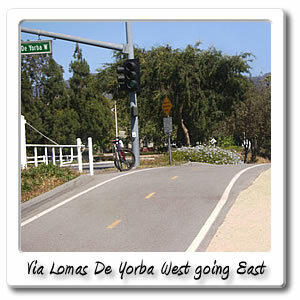 Welcome to Via Lomas De Yorba West on the Santa Ana River bicycle trail. 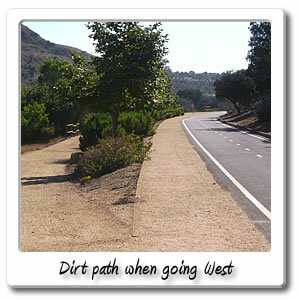 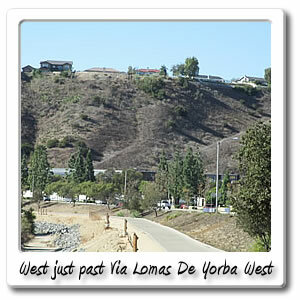 You will find Via Lomas De Yorba West right after the 24 mile marker on the Santa Ana River Trail. 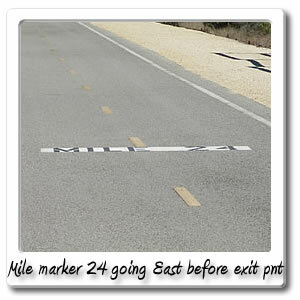 At this point you'll be 24.1 miles and 2 hours and 4 minutes from Huntington Beach. 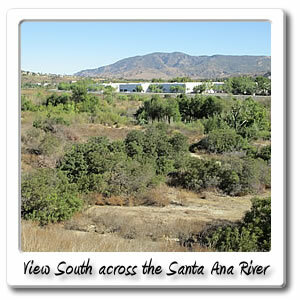 You're also only 4.7 miles and 24 minutes from Green River Road and the end of the Orange County section of the Santa Ana River Trail. 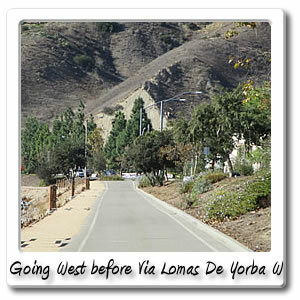 For pizza and coffee, you will have to head west on La Palma Avenue, in the City of Yorba Linda for .6 miles and 4 minutes. 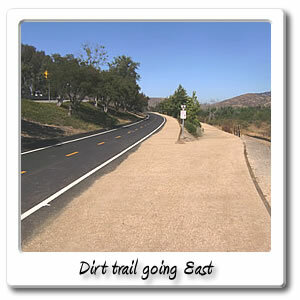 For more services you will have to continue going east on the Santa Ana River Trail for 1.2 miles and 6 minutes until you get to a shopping center. 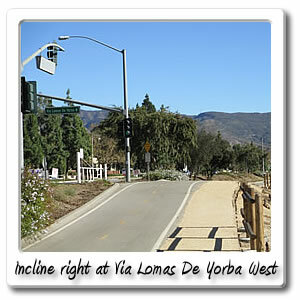 You can look on the Via Lomas De Yorba East for more information. 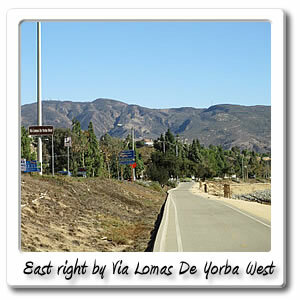 If you go north on Via Lomas De Yorba West, there's not much to offer except if you go for .6 miles for 9 minutes atleast up the hill then there will be 4.5 acre Box Canyon Park, which has all recycled rubber play surface for kids, restrooms, picnic tables and water fountain, and a view of the hills surrounding the park. 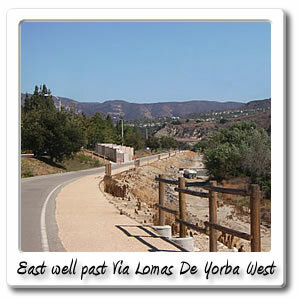 This is a result of the park being rebuilt in 2008 after wildfires burned the area. 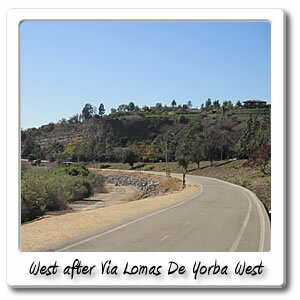 Right around this area, Via Lomas De Yorba West, turns into Via Lomas De Yorba East, so you can continue going east after the park, and then at the bottom of the hill at La Palma Avenue, you will see the entrance to Via Lomas De Yorba East entry point for the Santa Ana River Trail.